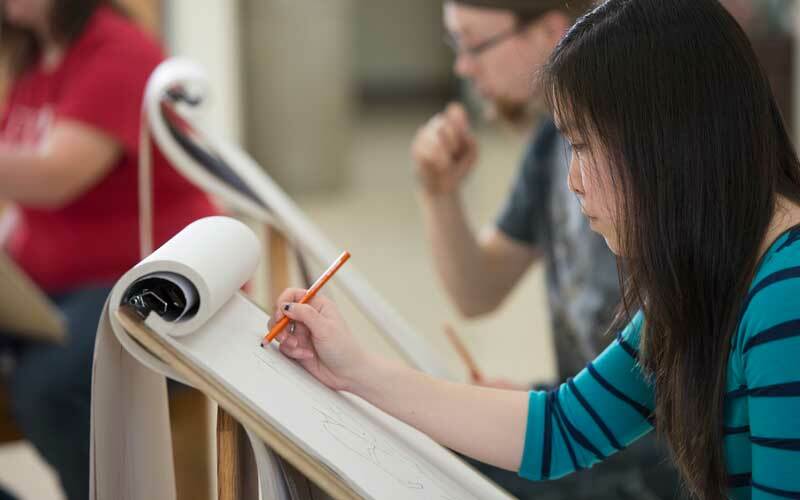 Art + Design is housed in the Merillat Centre for the Arts and the Studio Art Center, which includes a 2D and a 3D building. The Merillat facility includes the Graphic Design computer lab, 2D Design, Photography/ Printmaking studio and the Robert E. Wilson Gallery. The graphic design computer lab includes the latest Mac computers, Wacom tablets, film and flatbed scanners, digital cameras and printers. Software for design, drawing, web page design, image manipulation, and multimedia work are also available. 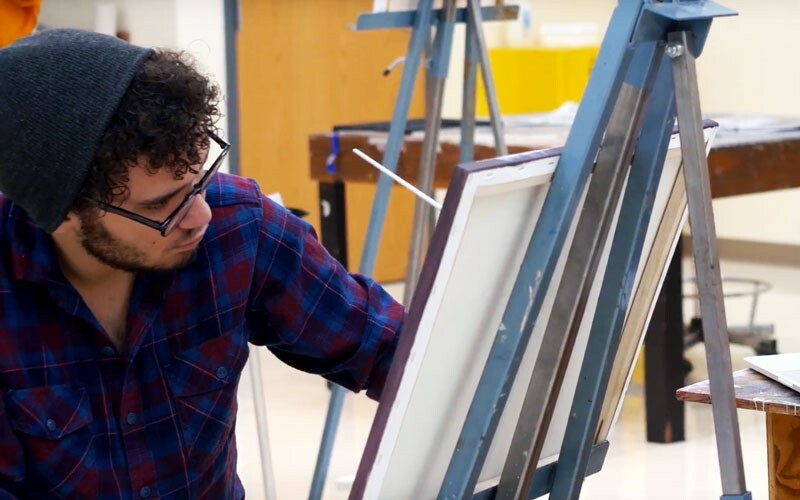 The photography/printmaking studio includes nine stations fully-equipped with a black and white darkroom, light tables, intaglio press, equipment for relief printmaking and silk screening. The 2D design studio houses 15 lighted drafting tables, storage cabinets and lockers, flat files, critique space, and matt cutter. 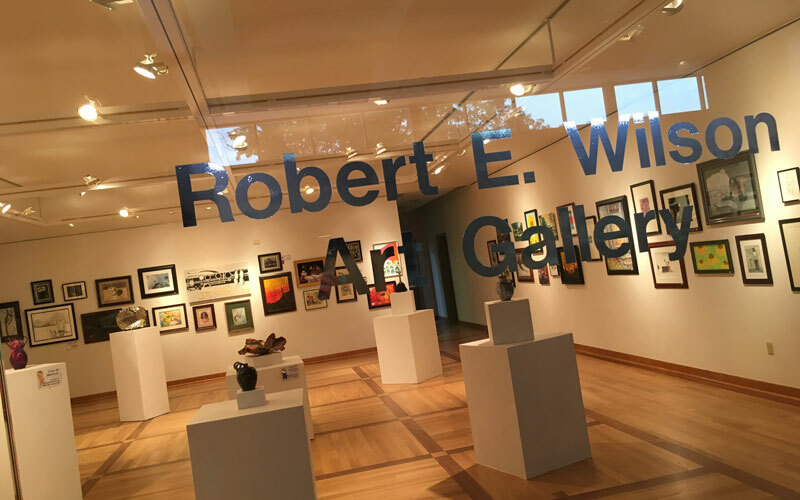 The Robert E. Wilson Gallery is an 1160 square-foot exhibition space. The Art + Design Departments presents a diverse range of exhibitions featuring established and emerging regional, national and international artists, as well as work of HU faculty and students. The 3D building houses the ceramic/sculpture studio and woodshop. The ceramic area contains 16 electric potter's wheels, a slab roller, extruder, pug mill, clay mixer, slip mixer, small and large glaze spray booths, 1 small electric test kiln, 2 large electric kilns, a 30 cubic-foot forced air gas kiln, raku kiln, and a pit firing area. 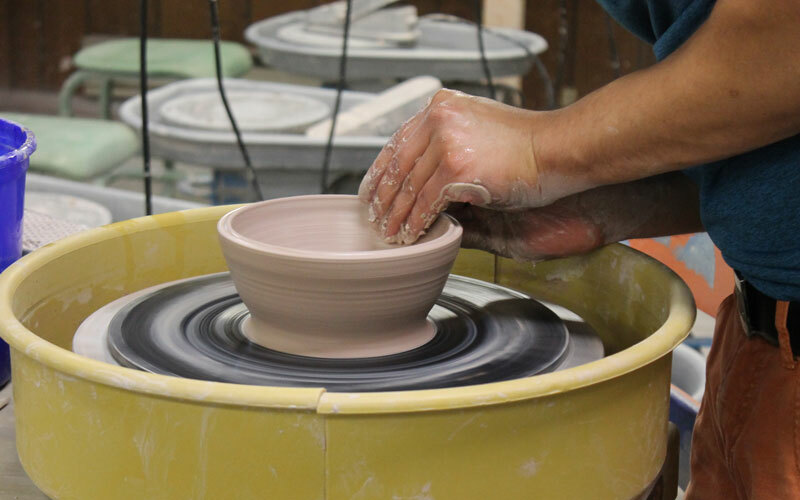 The sculpture and woodshop areas include soldering irons, an arc welder, plaster and stone carving equipment, a table saw, chop saw, saber saw, band saw belt and disc sander, grinder, drill press, air compressor, numerous power tools, and hand tools. The 3D building is where the painting, drawing, and photography studios are housed. The painting and drawing areas include worktables, easels, drawing benches, still life resources, spot lights, critique wall, lockers, flat storage, and a ventilated spray booth. The photography studio is equipped with studio lighting and backdrop for studio photography. Stop by the Merillat Centre for the Arts for a visit to the Robert E. Wilson Gallery. The Gallery presents a series of rotating exhibits throughout the year featuring work from student, faculty and professional artists. Students have the opportunity to display their art for show multiple times during the school year. The Gallery’s permanent collection includes prints by Salvador Dali and paintings by a variety of contemporary American and European artists. It is open weekdays from 9 a.m. to 5 p.m., before and after all Merillat Centre performances and by appointment.